A son who inherited a “mere £1.6m” from his wealthy father launched an estate battle with his siblings over the rest of their parents’ £10m fortune, claiming that the fact that he and his siblings had all received an equal inheritance was unfair. Gary McDonald claimed his work on his parents’ farmland meant he should have pocketed the bulk of the cash, which was split equally between him and his five siblings. A court heard their father William McDonald grew up in difficult conditions in Ireland but emigrated to Wales in the 1950s and made himself a very rich man. He worked as a contractor but gradually built up his own farms which when some of the land was sold in 1997 netted him and his wife, Marlene, a total of £8.4m. The couple’s deaths in 2011 and 2013 set off a bitter war within the family of “ordinary working people”, a court heard. Each child got an equal £1.6m slice but 49-year-old Gary claimed he should have got almost all of the £10m fortune – because he had been promised it by his parents before they died. Gary said he had toiled every spare minute during his working life for his dad in the expectation that he would eventually get his reward in the form of the bulk of the family’s business interests and wealth. The Court of Appeal heard Gary McDonald claimed he had worked long hours for low pay for his father’s farming and property development businesses. He said he was considered his father’s “heir apparent” and had been assured that, if he “stuck with it”, the vast majority would one day be his. However his father’s final will was written before Gary was even born and, with Marlene already dead, the fortune was split equally between the siblings. Gary, his brothers John, Liam and Fintan McDonald, and sisters Maria Watkins and Patricia Duckett, would each pocket £1.6m. Gary’s claim to the “lion’s share” of his parents’ “considerable wealth” was dismissed by Judge Milwyn Jarman QC at the High Court in March. The judge said the £1.6m he was due was “proportionate to the unpaid or underpaid work which he carried out for his parents”. But in his appeal, Gary argued that his hard work went a long way towards ensuring that the farmland went for a top price in 1997. Gary’s barrister said that the work which Gary did for his parents over 27 years until his father’s death had “immense financial and personal consequences” for him and his family. Gary is a “hard-working man” who, but for promises made by his parents, would have laboured for his own benefit in his own business, the QC added. He had continued to devote some of his time even after he set up his own successful building business in 2006. “The only plausible explanation is that Gary continued to work in this way because of the assurances he had been given about what he would receive upon his parents’ death,” he added. The court found that the ruling that Gary was entitled only to an equal share of the fortune was correct. Given the type and pattern of work Gary did it was “inherently unlikely” that his parents would have made such “extravagant promises” to him. After a half-day hearing Lord Justice Underhill, Lord Justice David Richards and Lord Justice Coulson rejected Gary’s challenge to his inheritance. 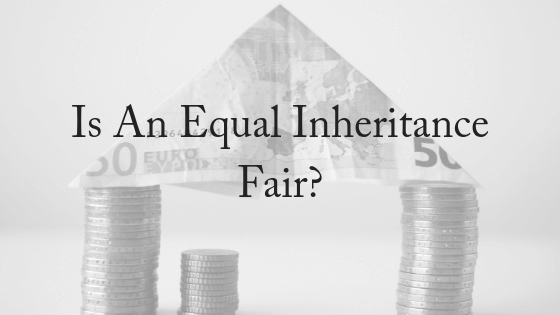 Is An Equal Inheritance Always Fair? Parents struggle with this question when they’re reviewing their estate planning: is an equal inheritance always fair? Does the high-powered executive daughter really need the same inheritance as her struggling artist brother? Or how about the son who is a teacher or works for a nonprofit? The other siblings are financially successful bankers and professionals. Should the estate be split exactly equally among them after the parents are gone? 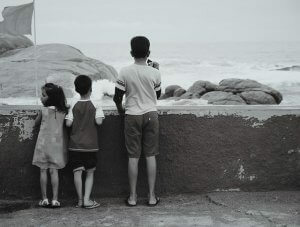 One child has several marriages end in divorce – you may want to leave this child’s inheritance in trust. One child is miserable at managing money – they may gamble or be unable to control their spending. Setting up a trust or specifying what money you leave to them can be used for may help protect them from themselves. When thinking about your estate planning, always seek advice from a specialist in wills and estates, who can help you to think of the scenarios your family might place and plan accordingly for them. For your FREE, 10-minute phone consultation, please contact us today.